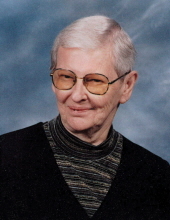 Peggy Janette Ward Lawing, age 89 of Maiden passed away surrounded by loved ones, Friday, April 12, 2019 at Catawba Valley Medical Center. Born December 8, 1929 in Catawba County, she was the daughter of the late Colin Julius and Janie Starr Ward. Peggy was a member of Mays Chapel United Methodist Church. She loved everyone, especially the children she kept in her home, although she never had children of her own, she was a mother to them all. Peggy will be greatly missed and will always be in the hearts of those who loved her. In addition to her parents, husband, Bobby Lawing; sister, Betty Ward, 5 brothers; Gerald Lee Ward, James Earl Ward, Harold Ward, Glenn Ward and John Ward preceded her in death. The funeral service will be held, Monday, April 15, 2019 at 4:00 PM at Mays Chapel UMC with Rev. Dr. Jason Guyer and Rev. Billy Phillips officiating. The family will receive friends prior to the service from 3:00 – 3:45 PM at the church. Memorials may be made to: Mays Chapel UMC - 1707 Mays Chapel Church Rd., Maiden, NC 28650. Burke Mortuary in Maiden is serving the Lawing Family. To send flowers or a remembrance gift to the family of Peggy Ward Lawing, please visit our Tribute Store. 1707 May's Chapel Church Rd. "Email Address" would like to share the life celebration of Peggy Ward Lawing. Click on the "link" to go to share a favorite memory or leave a condolence message for the family.